Clients, judges, colleagues, friends and family joined Soule & Stull at our Fall Deck Party last week! August 20, 2018. 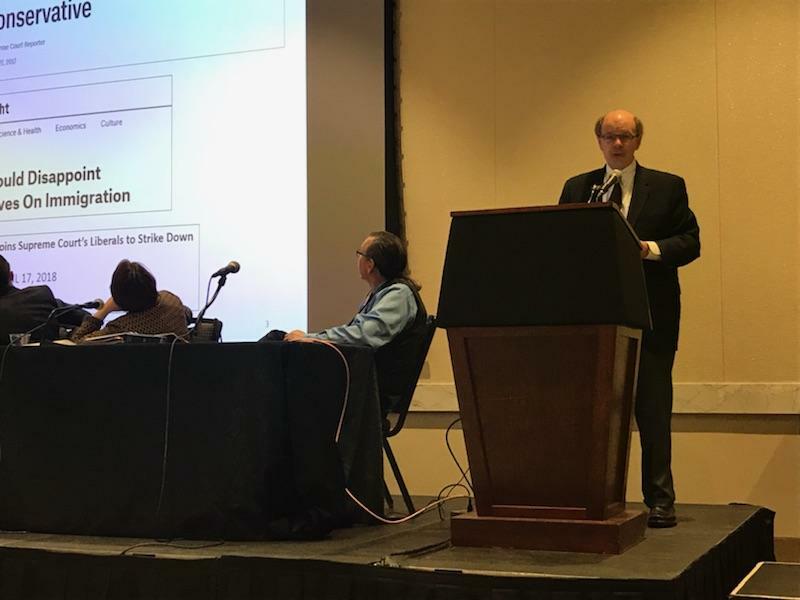 George Soule spoke on a panel today at a Minnesota CLE Seminar about the U.S. Supreme Court’s recent decisions involving racial and political gerrymandering, political apparel at the polls, and removing names from voter rolls. 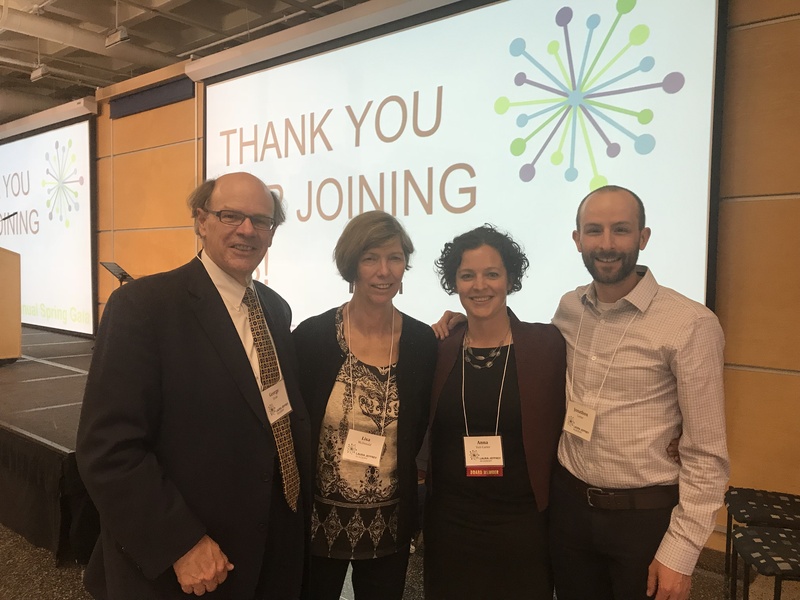 George joined Minneapolis lawyers Katherine Swenson and Charles Nauen in a lively discussion of opinions affecting voter rights and conduct at the polls, and governing redistricting of Congressional and legislative seats. July 19, 2018 – Soule & Stull was a sponsor of the Minnesota American Indian Bar Association golf tournament, held at The Meadows at Mystic Lake. The tournament benefits American Indian students attending Minnesota law schools. George is a past president of MAIBA. Soule & Stull has supported the golf tournament for five years and Melissa and George have played in the tournament together nearly every year for the last fourteen years. George and Melissa were joined by Danielle Bird and Anton van der Merwe (not pictured). Unfortunately, the weather did not cooperate and the rain kept the group off the course. July 2018. Super Lawyers named George Soule a Super Lawyer and Melissa Stull a Rising Star in its 2018 rankings. George has received Super Lawyer designation each year since 1998 and Melissa has received Rising Star status each year since 2013. June 29, 2018. Soule & Stull won dismissal of a claim against its clients alleging violation of the Telephone Consumer Protection Act. Plaintiffs alleged Defendants violated the Act by sending allegedly unsolicited text messages. Because Defendants were based principally in South Carolina, the firm asserted the defense of lack of personal jurisdiction. Minnesota’s federal court granted the motion, dismissing the case at its earliest stage. Kevin Curry wrote the brief and argued the motion for the firm. Plaintiffs had visited Defendants’ facility on guest passes, and argued the Defendants were subject to personal jurisdiction in Minnesota because one of the Defendants sent text messages to Plaintiffs’ Minnesota cell phones. The Court disagreed, reasoning that text messages were insufficient to confer jurisdiction under Eight Circuit case law, which holds that telephone calls and similar communications to the forum state do not create sufficient contacts to comport with due process. Additionally, the Court reasoned that sending text messages to cell phones with Minnesota area codes was insufficient to confer jurisdiction because a cell phone area code is not a reliable indicator of residence. You may read a copy of the opinion here. June 22, 2018. George Soule discussed Judicial Campaign Conduct and Activities at a seminar sponsored by the Minnesota Board of Judicial Standards. Several 2018 state court candidates, and their supporters, attended the seminar. George discussed several aspects of judicial campaigns, including statutes, rules and codes that govern candidates’ conduct. George has co-chaired several campaigns for election of Minnesota Supreme Court justices and has served on committees for several other state court candidates. May 18, 2018. Today, George attended the Investiture of Eighth Circuit Judge David Stras (former Justice, Minnesota Supreme Court) in Minneapolis. Associate Justice Clarence Thomas spoke at the event on behalf of his former law clerk. George had a chance to meet Justice Thomas at the reception after the event. George also caught up with his friend Rachel Brand, former United States Associate Attorney General and current Executive Vice President of Global Governance and Corporate Secretary at Walmart. May 17, 2018. George Soule was a faculty member today at Minnesota ABOTA’s Masters in Trial program in Minneapolis. George cross-examined plaintiff’s accident reconstruction expert, and joined plaintiff’s counsel Nate Bjerke in a discussion of the demonstration. Approximately 60 Minnesota lawyers attended the program. George is former President of Minnesota ABOTA, and now serves as ABOTA National Board Member from Minnesota. May 17, 2018. Soule & Stull helped sponsor the Laura Jeffrey Academy’s Spring Gala, celebrating its tenth year. The Laura Jeffrey Academy is a public charter school in St. Paul that offers a unique STEM-focused, girl-focused education for middle school students. Anna serves on the school’s Board of Directors. As a math major and former middle-school math and science teacher, Anna strongly supports the school’s mission of ensuring STEM-focused educational opportunities for young women in the Twin Cities. Attorney Kevin Curry of Soule & Stull has tried cases from coast to coast in representing large corporations in product liability, commercial litigation, personal injury and other cases. Curry also covers a lot of ground outside of his legal practice. He’s a two-time Ironman triathlon participant, marathoner, certified National Ski Patrol team leader and, most recently, yoga practitioner. 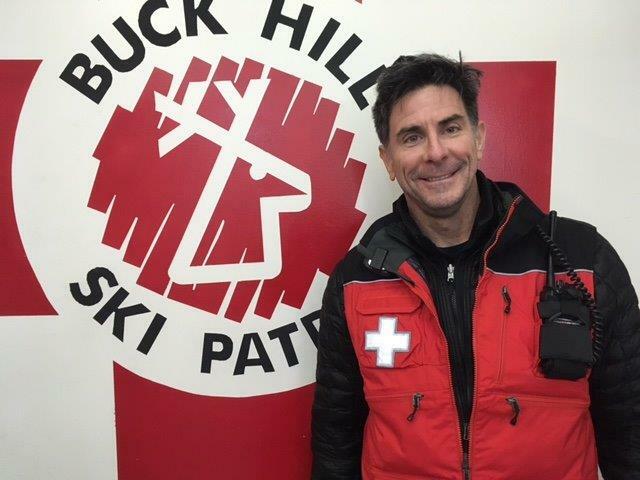 Gaining Ski Patrol training, which Curry completed three years ago, included three months of first-aid training. Curry joined George Soule and Melissa Stull at their newly opened firm opened in 2014. Soule and Stull previously were colleagues at Bowman and Brooke, where Curry had worked for 14 years. With less travel now, “it’s nice getting to know lawyers locally,” Curry said. May 4, 2018. 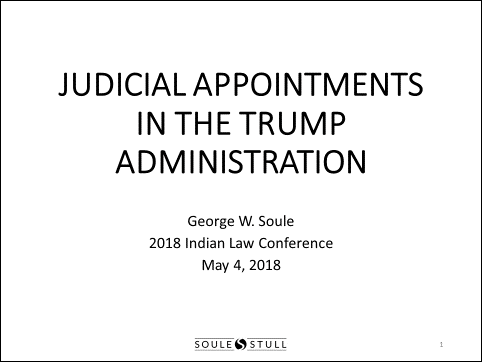 George Soule presented today on Judicial Appointments in the Trump Administration at the 2018 Indian Law Conference, sponsored by the Minnesota American Indian Bar Association and Minnesota CLE. George was on a panel with national and local Indian law counsel on Perspectives on the Trump Administration’s Impact on Indian Country. George is former President of the Minnesota American Indian Bar Association and serves on the Tribal Court of Appeals for four Minnesota Tribes. He is former Chair of the Minnesota Commission on Judicial Selection. April 26, 2018. 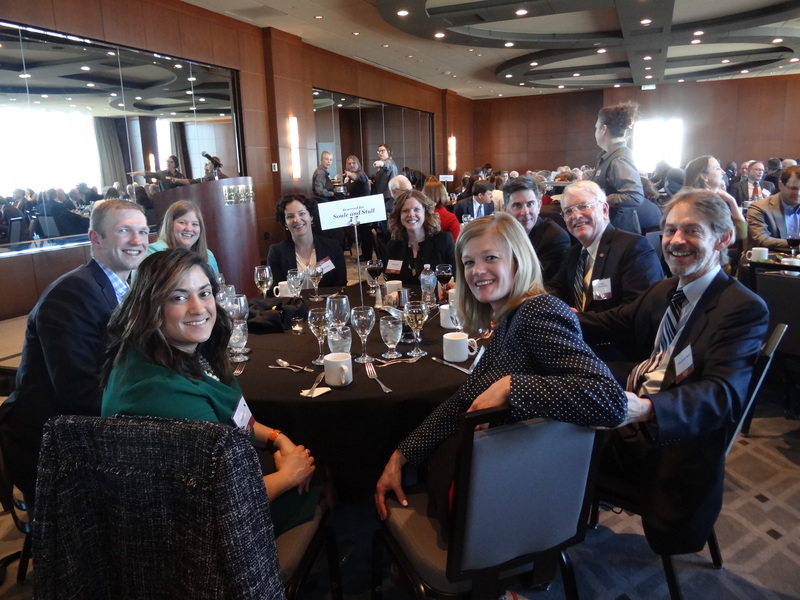 Soule & Stull was a sponsor of the MSBA Civil Litigation Annual Meeting at Windows on Minnesota in Minneapolis. Nearly 250 local attorneys, including George, Melissa, Kevin, John, Anna and S&S clients and friends, attended the event. David Cole, National Legal Director, ACLU, gave the keynote speech. Mr. Cole spoke aboutEngines of Liberty: How Citizen Movements Succeed (the title of his book). 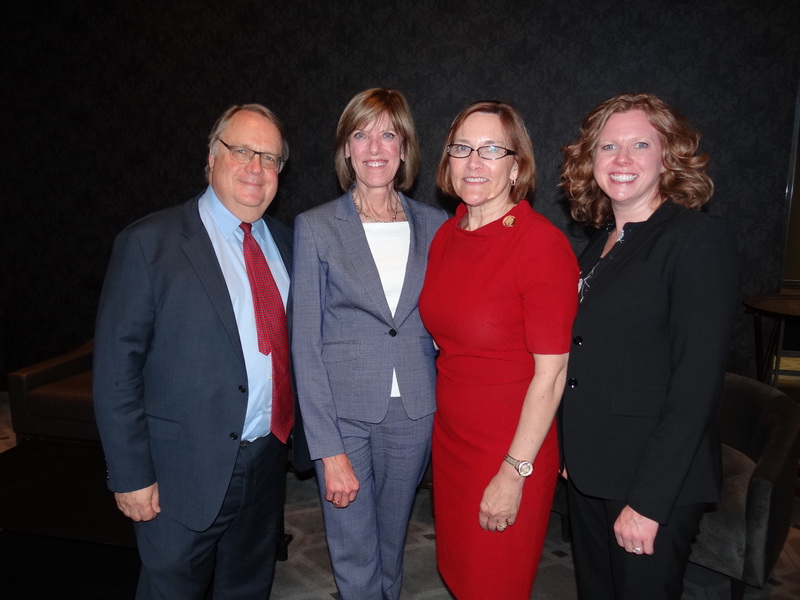 The Section honored Judge Jill Flaskamp Halbrooks, Minnesota Court of Appeals, with the 2018 Advocate Award. Melissa will Chair the Civil Litigation Section in 2018. The Section has 1,375 members. Soule & Stull is the home of three Civil Litigation Chairs, past and future, as George chaired the Council in 1994-1995 and Kevin in 2011-2012.